CHIEF PETER J. BURKE, JR.
Chief Burke began his fire service career as a junior firefighter in Swansea, MA, his hometown. 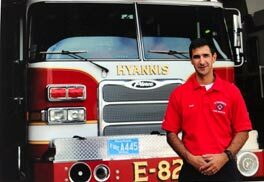 He joined the nearby Seekonk Fire Department as a career Firefighter/EMT in 2002. During his tenure in Seekonk he developed or coordinated several programs within the department including numerous training efforts to improve firefighter safety. Chief Burke also spent time as a fire prevention officer during a period of rapid growth in the community. 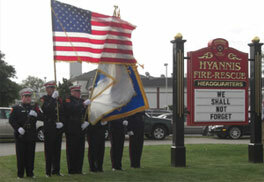 He served on the executive board and as president of Seekonk Firefighters Local 1931. He ended his time in Seekonk as a shift commander responsible for firefighters operating out of two stations. In 2012 Chief Burke accepted the position as Deputy Fire Chief in Barnstable Village. 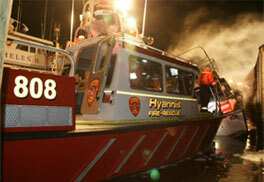 While there he was successful in receiving multiple grants, including one to fund a fire rescue vessel. He was responsible for a number of regional training initiatives engaging a wide variety of stakeholders. He has worked closely with the Coast Guard and Army National Guard in improving cooperation and communication. Chief Burke is a member of the District Hazardous Materials Response Team and involved in the leadership of the Regional Technical Rescue Team. 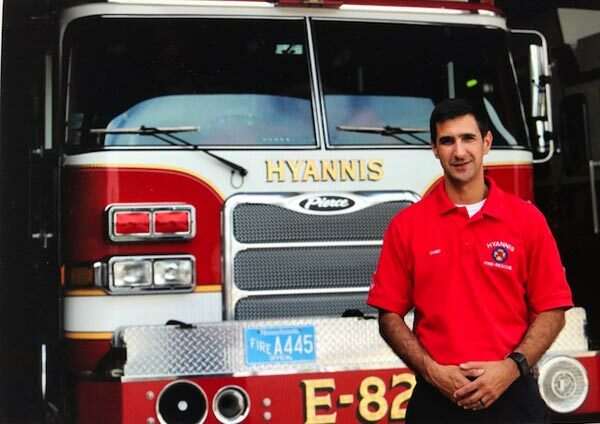 He is an instructor at the Massachusetts Firefighting Academy and has taught extensively in the recruit, technical rescue, hazardous materials, and rapid intervention programs, and is also an Adjunct Professor at Cape Cod Community College. Burke is a graduate of the Chief Fire Officer Program jointly conducted by the Firefighting Academy and UMASS Boston’s Collins Institute. Chief Burke lives in Barnstable with his wife Jess and three children Brendan, Grace, and Jack.